Fleet graphics, professionally attached to a truckside with TRUCKADS® patented invisa-frame system, is one of the best advertising sales tools for your business. 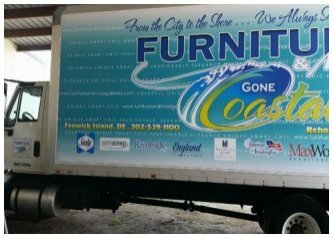 For a much lower cost than adhesive decals applied to the sides of a truck, our full color vinyl banners with TRUCKADS® patented invisa-frame system, will turn your fleet of trucks into big mobile advertising billboards. Less down time for your fleet also saves you time/money. Fleet graphic banners are easily changed out to meet the needs of your ongoing ad campaigns. 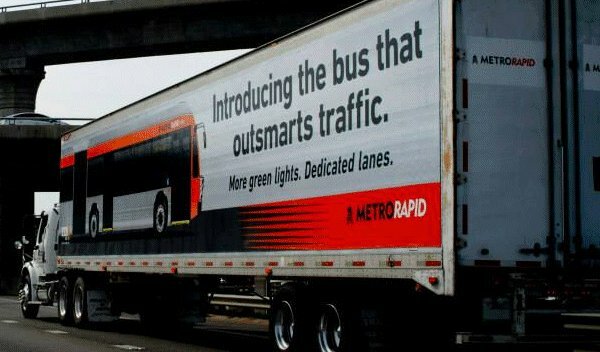 Click the following link to see what your ad looks like on a truck. 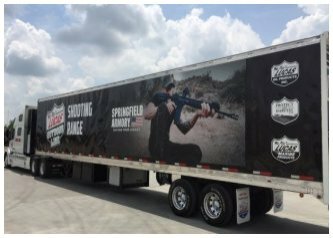 TRUCKADS® fleet graphics services include heavy duty, full color, vinyl banners printed to our customer's design specifications and TRUCKADS® installation crew deployed anywhere in the US to perform the installation. 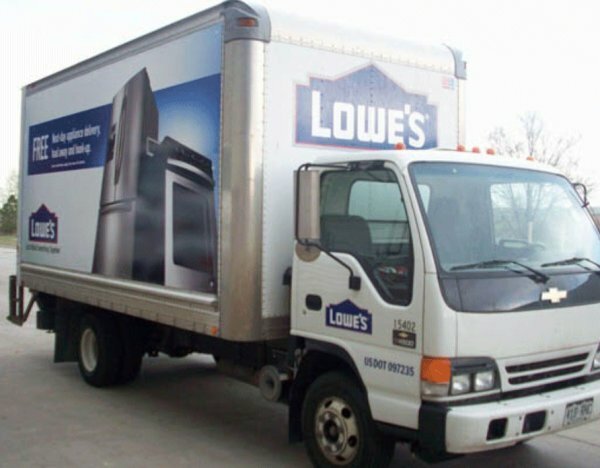 Graphics on trucks generate more visual impressions and reach more new customers than any other form of outdoor advertising. We help consumer products companies brand and grow their business line of products and services with full color fleet graphics. Sleek truck side graphics, project a positive image for businesses. If you are searching for professional fleet graphic services, call TRUCKADS®. We turn blank, boring truck sides into big branding vehicles for success. Utilizing a changeable fleet graphics vinyl banner frame system on local straight trucks and long haul semi-trailers, TRUCKADS® provides nationwide graphics installation, repair and replacement management services. 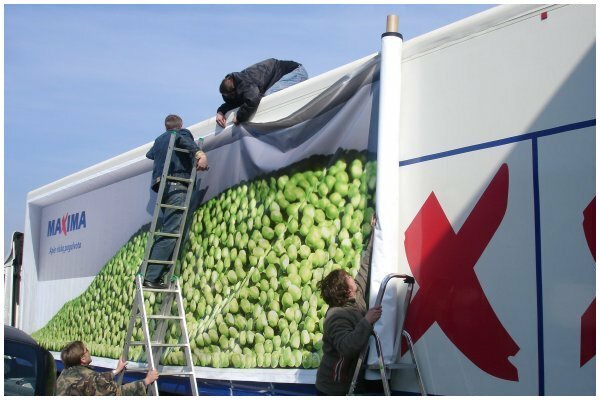 If you are looking for a superior quality changeable banner frame system for your fleet, pick up the phone and call us today. You can purchase TRUCKADS® heavy duty 18 ounce, full color printed vinyl banners and our patented frame system directly from TRUCKADS®. Or purchase our system nationwide, thru your local sign company. Our frame system allows fleet owners to change out banners two or three times for the same price as a full wrap adhesive decal installation, without damaging your truck sides and without creating long down times for your vehicles. What type of vehicles do we install fleet graphics on? Let's Talk. Tell us about your fleet graphic requirements. When you're ready to grow call 1 800 878-2523. Choose TRUCKADS® Fleet Graphics Services.